Discover one cool new Monolix feature each day! good initial values for the population parameters. into its log-transformed value centered by the weighted mean. When highlighting an individual in a plot, the same individual is also highlighted in all other plots. The individual can be selected on the plot itself or via the Stratify tab. A new tab Comments allows to save personal comments in a Monolix project. and pasted in Word and Excel with their layout. and the bounds of the continuous covariate groups can be changed manually. or focus on only a few of them. Empty and reset macros can be used to empty and reset respectively a target in the longitudinal model. When using IOV, the random effects can be split by level in the Tests and on the Correlation and Distribution plots to better diagnose each variability level separately. The IGNORE LINE column-type allows to ignore a whole line. The statistical tests are now more robust and more powerful thank to a new method! Filtering options for the data display makes it easy to find precise information. Automatized covariate search is now available via the GUI. as well as the stopping criteria can be chosen. 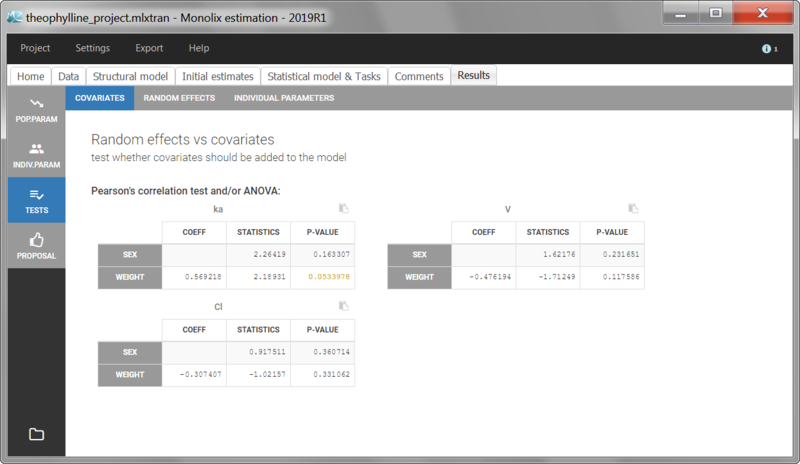 In the new Proposal tab, Monolix compares many correlation, covariate and error models to suggest you a new statistical model. resulting in reliable diagnostic plots. Logit distributions for individual parameters can now be bounded between two custom values, instead of [0,1] only. 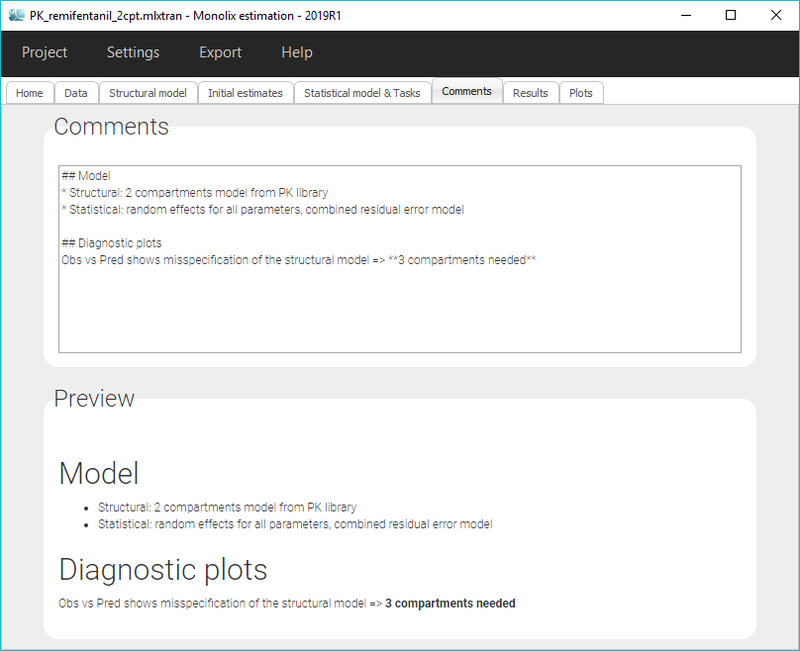 The mapping between observation IDs from the data set and predictions from the structural model can be set in the interface. Exporting a Datxplore project to Monolix starts a new Monolix project where the data set has already been set. and it is possible to save the plots as images. When checking the initial values, a reference curve can be set with the Set as reference button to better see the influence of a change in the parameter values. 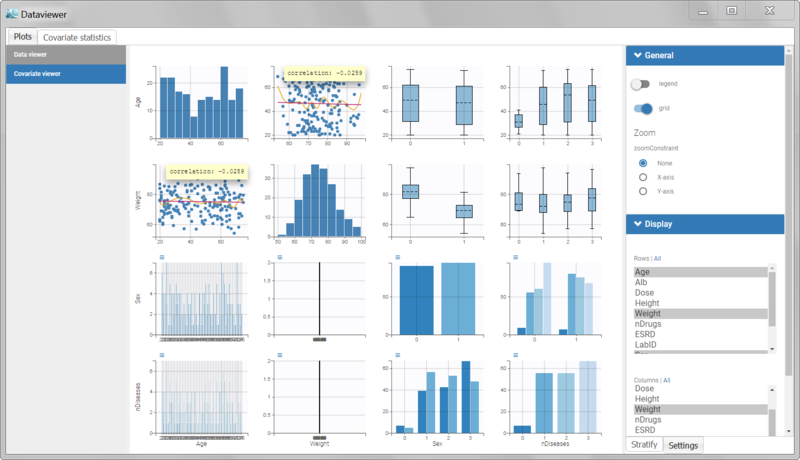 all the individual parameters are displayed along with the covariates. In addition, it is possible to sort. The methodology to calculate the mean number of events for repeated timt-to-event data has been improved to better capture censored individuals. with the new name, it can thus be used for renaming. 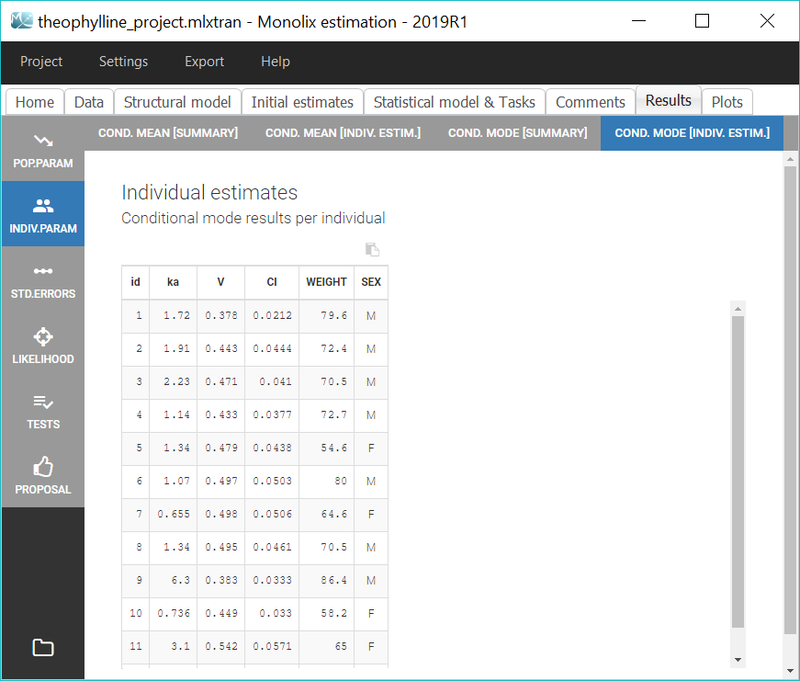 MonolixSuite will be released Q1 2019!